Aarhus, Denmark, November 15, 2017 – With the importance of effective data management steadily rising, NGK Spark Plugs has set out to optimize its global product data flow. To achieve optimum results, NGK, the leading manufacturer of spark plugs and lambda sensors, has teamed up with Stibo..
Hamburg/Karlsruhe, Germany, 02 March 2017. 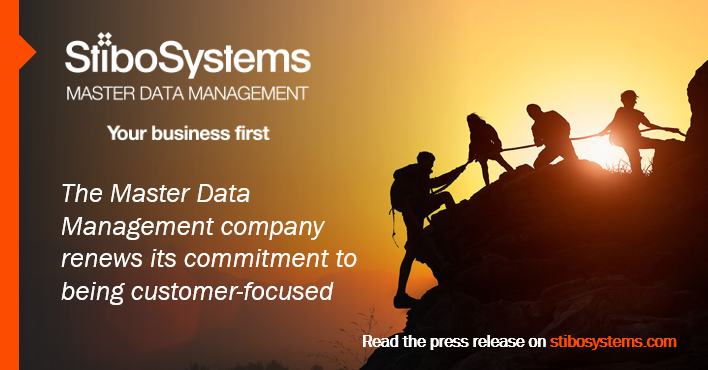 Stibo Systems, the market-leading provider of multidomain Master Data Management solutions, will this year oversee the transition of data management for 25,000 products at Carl Roth GmbH + Co. KG to a central platform. Founded in 1879, Carl Roth is a..
Hamburg, 3 May 2016. Stibo Systems, a market-leading provider of Master Data Management (MDM) solutions, will install its STEP MDM solution in Globus hypermarkets across Germany. 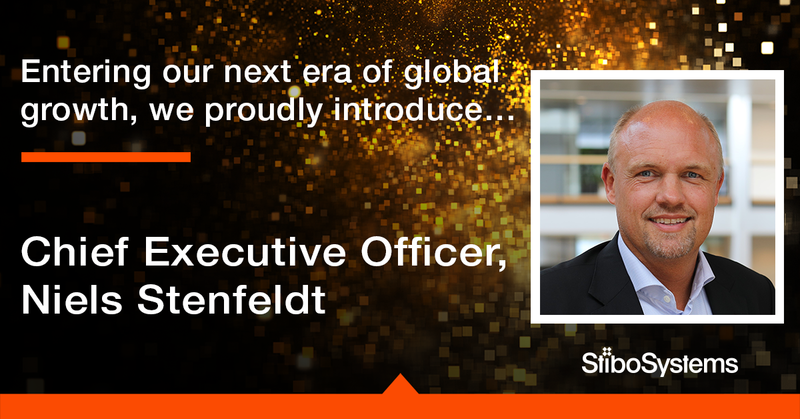 Founded around 190 years ago, Saarland-based Globus currently operates 46 hypermarkets in Germany, plus a further 26..
ATLANTA, GA, April 26, 2016 – Stibo Systems, the global leader in Multidomain Master Data Management (MDM) solutions, today announced the immediate availability of..
WHO: Stibo Systems, the global leader in Multidomain Master Data Management (MDM) solutions, today announced that company executives will be presenting two speaking engagements at the Gartner Enterprise..
ATLANTA, GA, March 15, 2016 – Stibo Systems, the global leader in Multidomain Master Data Management (MDM) solutions, announced its customer Delta Faucet Company, a leading faucet innovator that..
Reading, UK, March 2nd 2016 - Stibo Systems today unveils STEP Trailblazer 8.0, the latest iteration of its Multidomain Master Data Management (MDM) solution, introducing the STEP..
L’un des 100 plus grands retailers du monde fait confiance à la plateforme de Stibo Systems pour sa gestion commerciale. Aarhus, le 26 janvier 2016 – Stibo Systems, leader indépendant mondial dans les solutions de gestion des données de référence multi-domaine (PIM-MDM), annonce que l’AAFES -..
ATLANTA, GA, January 22, 2016 – Stibo Systems, the global leader in multidomain Master Data Management (MDM) solutions, has been selected for the 2016 Consumer Goods Technology (CGT) Magazine Readers' Choice Award by consumer..
Top 100 Retailer to Rely On Stibo Systems Platform for Global Ecommerce. ATLANTA, GA, 19 January, 2016 – Stibo Systems, the global leader in multidomain Master Data Management (MDM) solutions, today announced that the Army & Air Force Exchange Service (AAFES) has selected Stibo Systems’ STEP..
Paris, 12 January, 2016 — Stibo Systems, the global leader in Multidomain Master Data Management (MDM) solutions, announces..
ATLANTA, GA, December 21, 2015 – Stibo Systems, the global leader in Multidomain Master Data Management (MDM) solutions, today announced Vistaprint, a subsidiary of Cimpress N.V. (Nasdaq: CMPR), has selected Stibo Systems’ STEP MDM..
Aarhus, Denmark, 15 December 2015 – Founded in 2002, FLYERALARM is one of Europe’s leading online printing firms. From flyers and invitations to posters and brochures, the success of the company depends on delivering high-quality, standardised..
Aahus, Denmark – 4 December 2015 - Erasmus Holm, EMEA marketing director at Stibo Systems, the leader in Master Data Management solutions, outlines his predictions for..
ATLANTA, GA, December 2, 2015 – Stibo Systems, the global leader in multidomain Master Data Management (MDM) solutions, announced today its customer Delta Faucet Company, a leading faucet innovator..
ATLANTA, GA, December 1, 2015 – Stibo Systems, the global leader in multidomain Master Data Management (MDM) solutions, today announced that it has been chosen as a 2015 Most Promising Energy Technology Solution Provider by CIO Review. Energy companies understand that profits are often linked to..
ATLANTA, GA, November 19, 2015 – Stibo Systems, the global leader in Multidomain Master Data Management (MDM) solutions, announced today that Gartner, Inc., a leading IT research and advisory firm, has positioned the..
ATLANTA, GA, November 13, 2015 – Stibo Systems, the global leader in Multidomain Master Data Management (MDM) solutions, today announced its inclusion in Software Magazine’s Software 500 ranking of the world’s largest software and service providers. 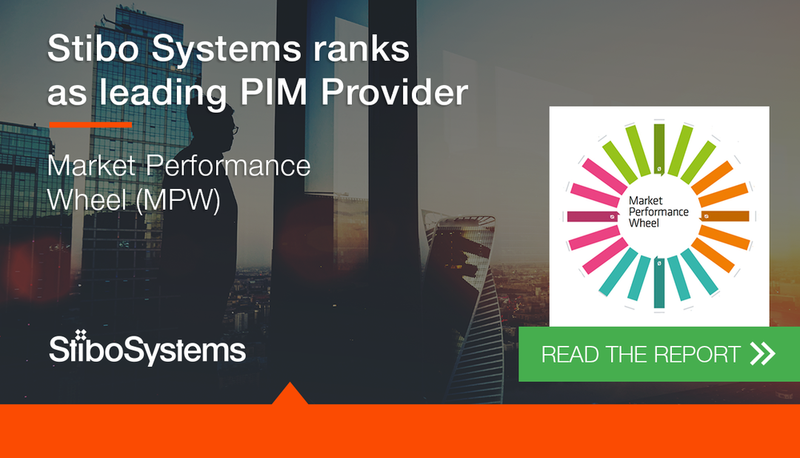 Now in its thirty-third year, the survey..
Aarhus, Denmark, 15 September 2015 – Stibo Systems, the market leader in Multidomain Master Data Management (MDM) solutions, and its partner foryouandyourcustomers, have announced the launch of a project for..
7th September, 2015 – Reading, UK: The ability to meet customer expectations is the most important reason for companies to undertake a digital transformation, outweighing the need to reduce business and IT..
Aarhus, Denmark, 31 August 2015 – Stibo Systems, global leader in multi-domain Master Data Management (MDM) solutions, has announced that Swiss-based retailer Brütsch/Rüegger Tools has chosen..
ATLANTA, GA, August 18, 2015 – Stibo Systems, the global leader in multidomain Master Data Management (MDM) solutions, today announced that Goodman Manufacturing Company, L.P., one of the largest manufacturers of residential and light commercial air conditioning, heating, and ventilation..
Aarhus, Denmark, August 18 2015 - Netshoes, one of the largest ecommerce companies in the world, has adopted Stibo Systems’ Master Data Management (MDM) solution, STEP Trailblazer. Netshoes will use STEP for the production and management of product catalogues by integrating the ecommerce sites..
Aarhus, 28 July 2015 - Modyf, a leading work and leisurewear specialist and part of the Würth group, has implemented Stibo Systems’ Master Data Management (MDM) solution to optimise and manage its product information. Modyf had challenges with identical products in different countries,..
Laren, Netherlands, 3 July 2015 – Stibo Systems, the global leader in Multidomain Master Data Management (MDM) solutions, today announced that its STEP MDM solution..
Atlanta, GA, June 16, 2015 – Stibo Systems, the global leader in Multidomain Master Data Management (MDM) solutions, today announced that it has once again achieved record growth due to increasing worldwide demand for its award-winning..
Reading, UK, 1 June 2015 – Howden Joinery Group Plc, the UK’s leading supplier of kitchens, has selected Stibo Systems’ award-winning product information management (PIM) solution for efficient and..
ATLANTA, GA, June 1, 2015 – Stibo Systems, the global leader in multidomain Master Data Management (MDM) solutions, today announced that its customer, Brady Corporation (NYSE: BRC) was named an..
Aarhus, Denmark, 11 May 2015 – Dansk Supermarked, Denmark’s largest retail group, has selected Stibo Systems’ Master Data Management (MDM) solution to optimise and manage its product information both..
North Sydney, 1 May 2015 – Australia's leading office supplies and stationery retailer, Officeworks, has implemented Stibo Systems’ award winning Master Data Management platform to re-engineer its product information across all its sales channels. The system gives Officeworks a single source of..
Reading, UK, April 21, 2015 – LeShop.ch, the leading Swiss online supermarket has selected Stibo Systems' award-winning product information management (PIM) solution for efficient and effective..
Reading, UK, 15 April 2015. In just seven months from the start of the project, the German drugstore chain Rossmann has implemented Stibo Systems STEP solution as its product information system (PIM) and is now mastering over 60,000..